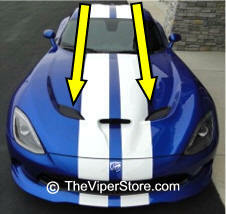 Dodge factory Viper GTS Hood scoop grilles. Hood requires two grilles. Each hood has two. This item is for one. Choose passenger or drivers side or both. 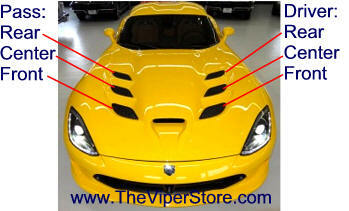 Dodge factory Viper SRT Hood scoop grilles. Hood requires six grilles. Each hood has six. This item is for one. Choose passenger or drivers side or both. Factory Headlight assembly. Ready to mount. 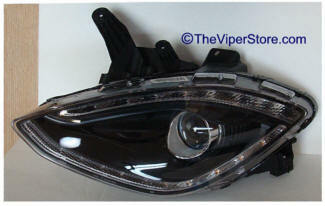 Headlights come in two finishes from the factory, Metallic Graphite or Semi Gloss Black.